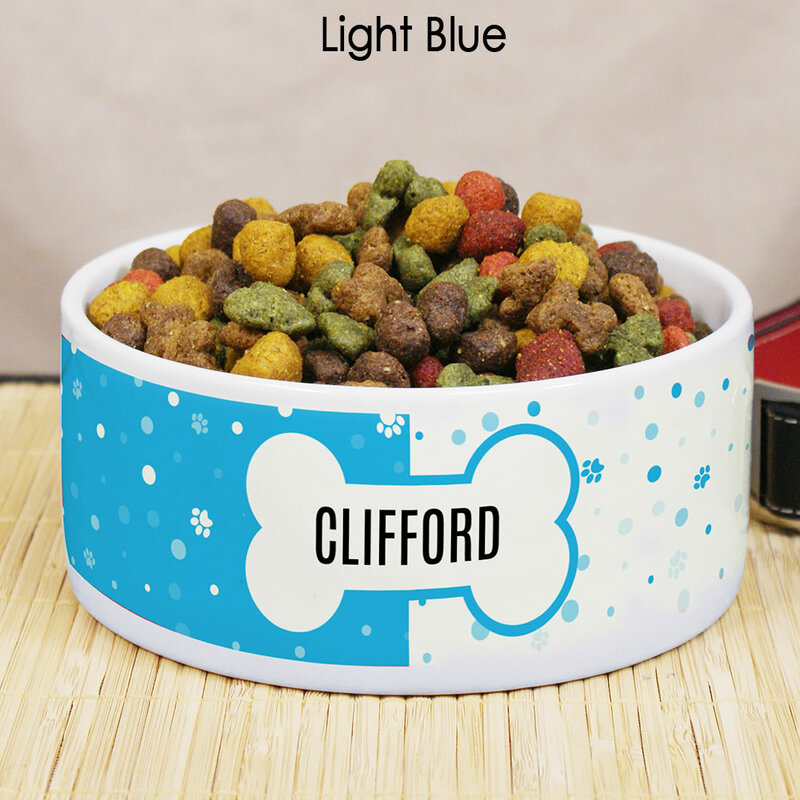 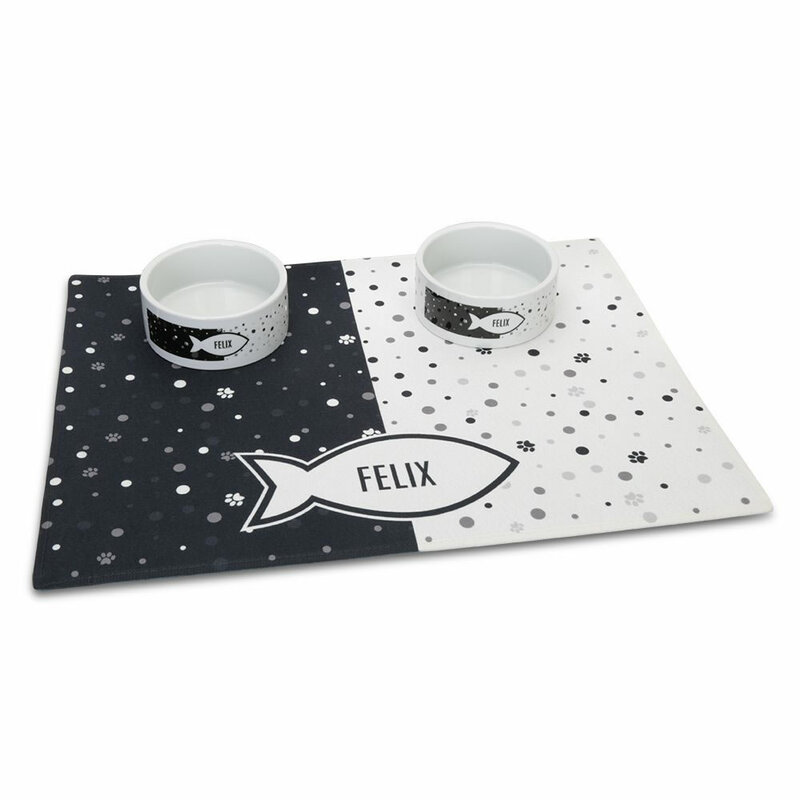 This is the personalized dining set for a pet. 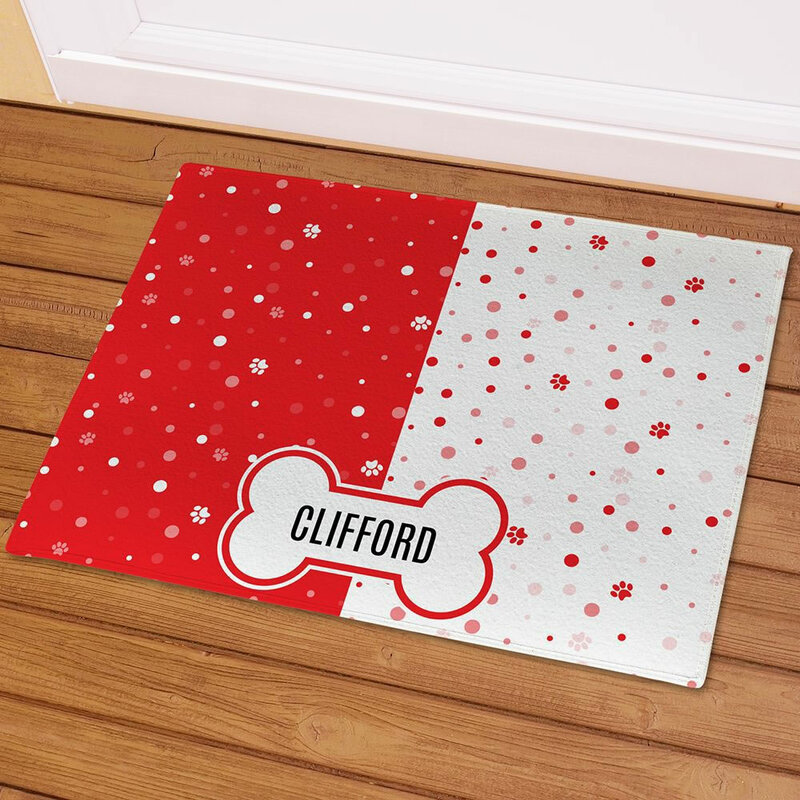 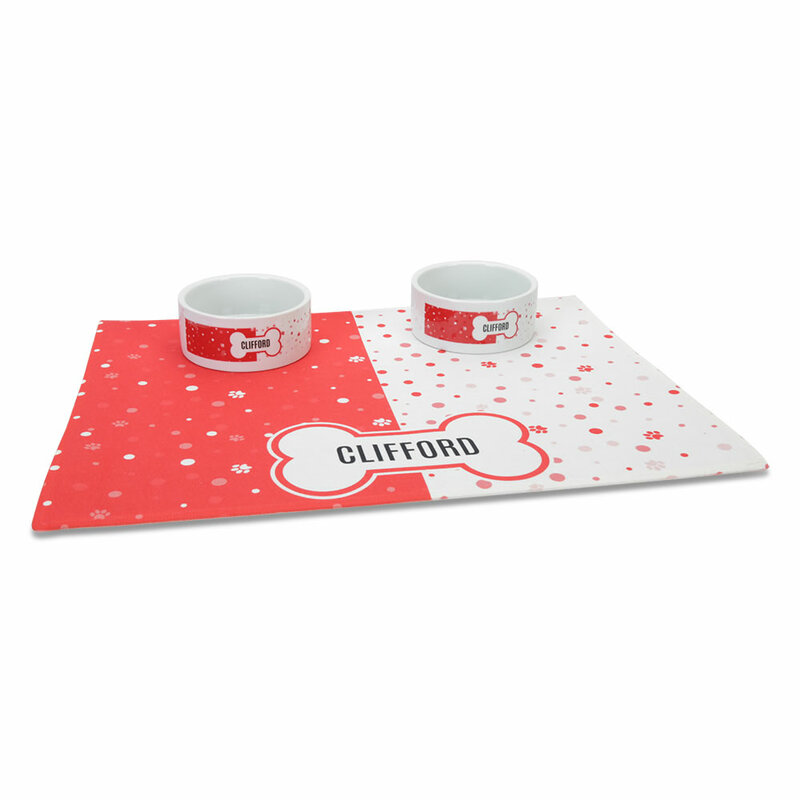 It comes with a set of two porcelain bowls and a matching placemat decorated with a paw print pattern and your pet’s name. 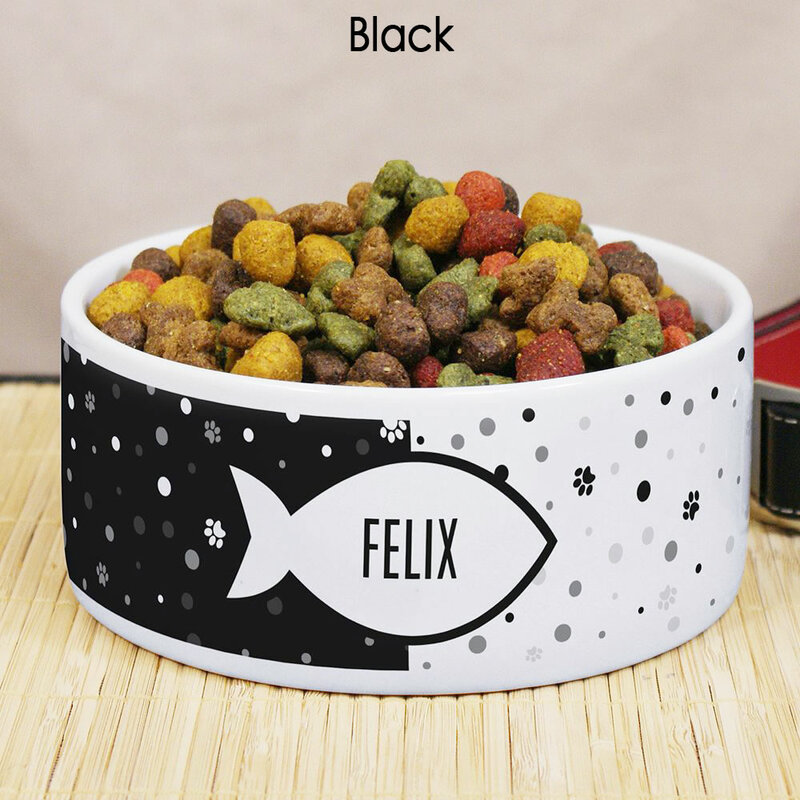 The bowls are dishwasher safe and hold up to 12 oz. 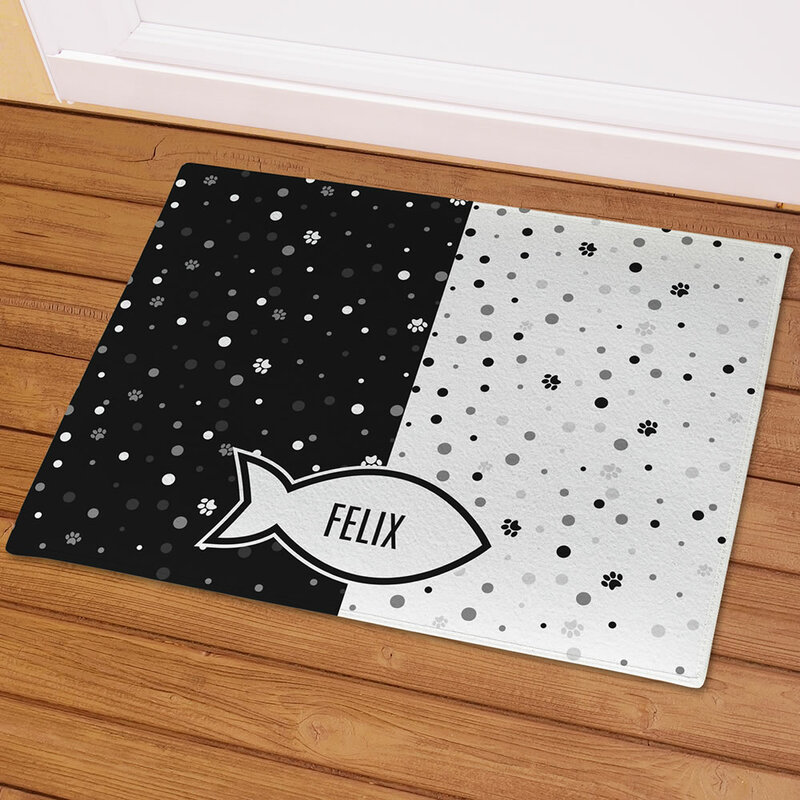 of water or food while the placemat measures 18" L x 24" W and features a latex backing and bound edges. Select Dog (with bone icon) or Cat (with fish icon) and choose from Red, Black, Light Blue, or Hot Pink. Can be personalized with any name up to 12 characters.